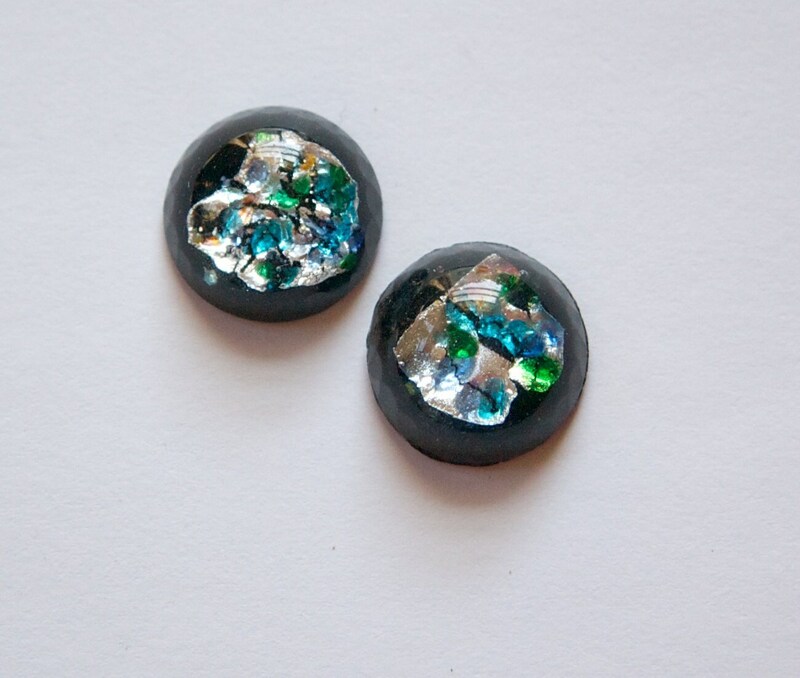 These are vintage black glass cabochons with colored and silver foil centers. The bottom edge of the cabs are faceted. 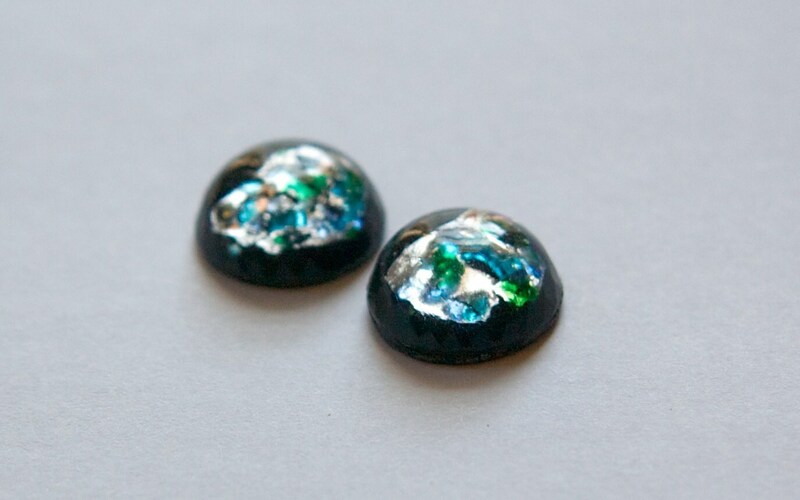 These have a domed top, flat back and measure 15mm. You will receive two pieces. I have these in red too. Gorgeous! I adore them. I will be back shopping here in the future. Thank you for quick ship. Great customer service and the items are stellar!! Multiple purchases, and I've always been satisfied.